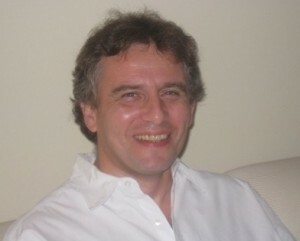 Dr. Anatoly Frenkel is a professor of physics at Yeshiva University and a guest researcher at Brookhaven National Laboratory. He received his MS from St. Petersburg University and his PhD from Tel Aviv University. He received the 2003 Dean Karen Bacon Outstanding Junior Faculty Award at Stern College for Women. This past summer, Dr. Frenkel and a team of physicists secured a nearly $2 million Department of Energy grant to study how sub-microscopic manmade nanoclusters can be used to create more efficient energy sources. I worked at Brookhaven National Laboratory as a Research Scientist. I was employed by Materials Research Laboratory at the University of Illinois. My research was aimed at developing new methods, X-ray based, for studies of novel functional materials. I lived in Israel for five years and enjoy being in a place with an environment and atmosphere that reminds me of Israel. It is also fun to see things change; for example, we did not have a physics program at Stern College when I came to YU, and now we have a wonderful physics department with a strong enrollment. None. My own profession is really what I have always liked. Both goals are similar: to make an impact and see that my contributions prove to be useful for humanity. That I do not really think that Occam’s razor principle works in physics. I use it as a shortcut when I do not really know a better answer to a really difficult question.